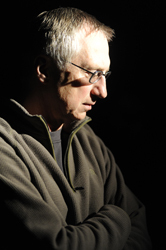 Clinician Biographical Information Jerald Schwiebert was a master movement teacher at Southern Methodist University before joining the Michigan faculty. He is a Registered Movement Therapist/Educator specializing in the Alexander Technique, Tai-Chi, and Pilates based dancer specific movement. Internationally, he has performed his own work at the Edinburgh Festival Fringe and has been a special guest of the Roy Hart Theatre in France. Schwiebert is a frequent contributor to Direction, an international journal on the Alexander Technique based in Australia. His consulting includes physicians from Henry Ford Hospital and Michigan State University's Department of Osteopathic Medicine. Private clients include television and radio announcers, professional singers, dancers, lawyers, executives, equestrians, physical therapists, and anyone with movement related problems.